ANKARA, TURKEY. Protesters gather on Kennedy Street to express their distaste for Turkey's Prime Minister Recep Tayyip Erdogan and the ruling Justice and Development Party, known by its Turkish acronym AK Party, on June 16, 2013. 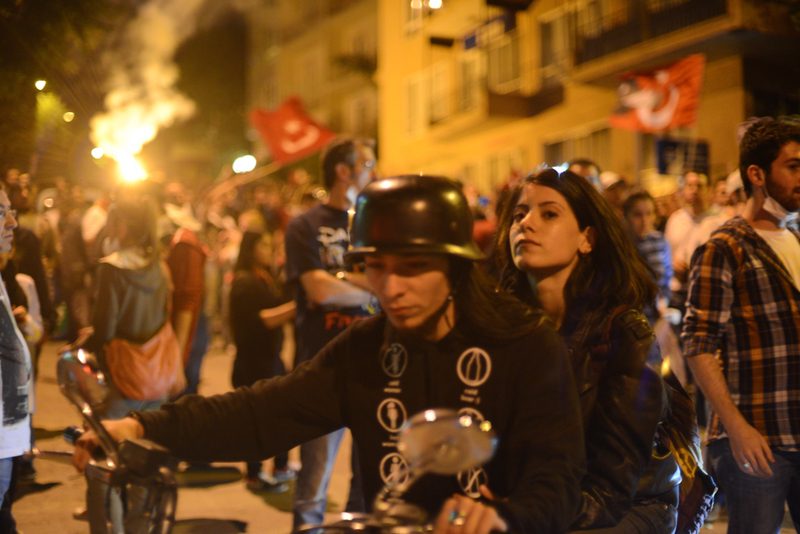 Since protesters occupied and were evicted from Gezi Park in Istanbul's main Taksim Square in late May, nationwide protests have followed in solidarity with the cause and against Erdogan.